Do you like to save yourself time when preparing a meal. 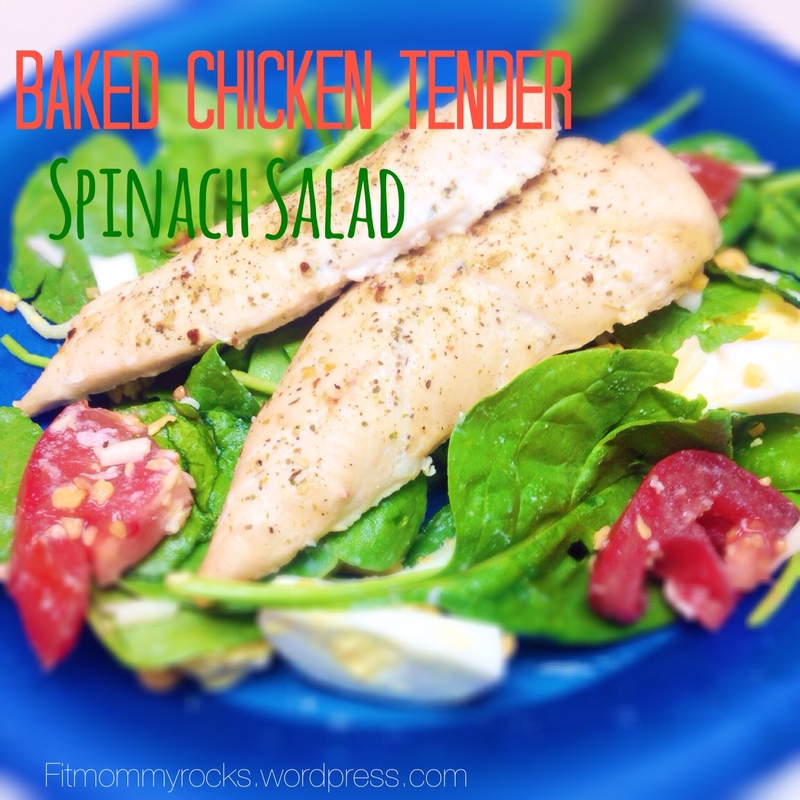 Dinner time came too quick and you are not sure what you are going to make yet? So you start to rule out ideas that would take to long or steps to make the meal that you don’t feel like doing. This sound familiar? I always tend to rule out “I don’t feel like browning meat” or ” I don’t feel like thawing the meat and then browning it”. Have you done this before? I decided I needed a better method to speed up the dinner process. This is one way that can help cut out some time when preparing a meal that uses ground, browned, meat. First off, if I haven’t found a good deal on ground meat I grab my meat from Costco. 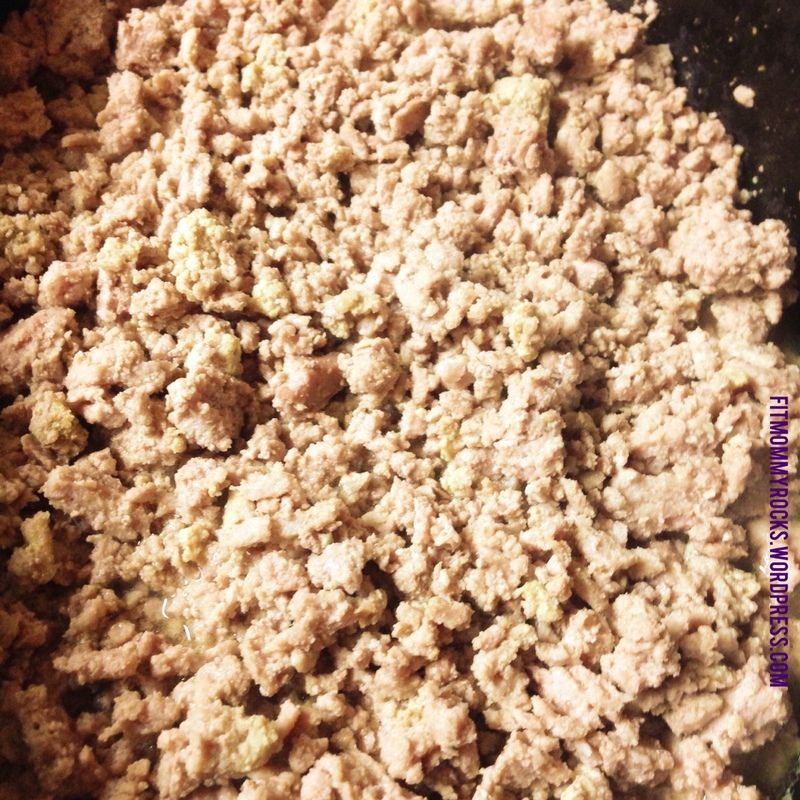 I like to use ground turkey and I use it in place of beef in most of my meals. Costco sells their ground turkey in 4 packs of about 1.25 lbs. When I get home from shopping I put all the ground meat in the slow cooker that has been sprayed. I use a canola oil cooking spray. Then I put all the meat in the slow cooker. I break it up using a spatula. 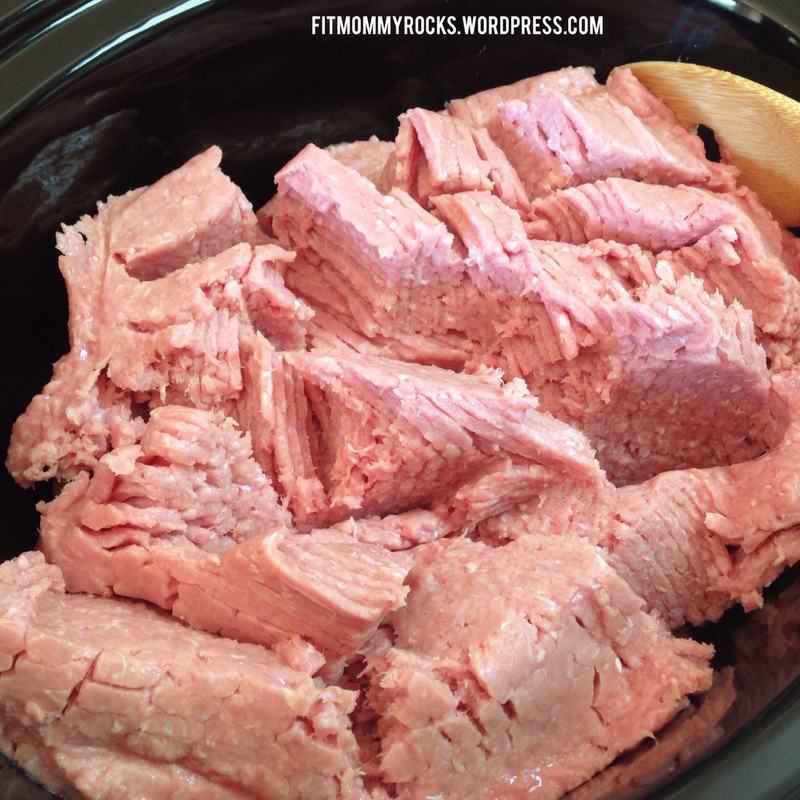 Set the Slow Cooker to low and let it cook all day, about 8-10 hours. I have let it cook 12 one time because we got home later than we thought and it was great. Be sure to get your spatula and go through the meat and break it up like you do when browning it up on the stove top. I break up the meat 2 or 3 times and find that it is enough. All the juices and liquefied fat (gross I know) from the meat settle at the bottom. I use a slotted spoon to scoop the meat out and leave the fat behind (we don’t want to eat it). I let the meat cool in a big bowl before I place into freezer bags. You could let it cool down in the slow cooker, it just may take longer. When I freeze it I lay the meat flat so when I thaw it, it does so evenly. 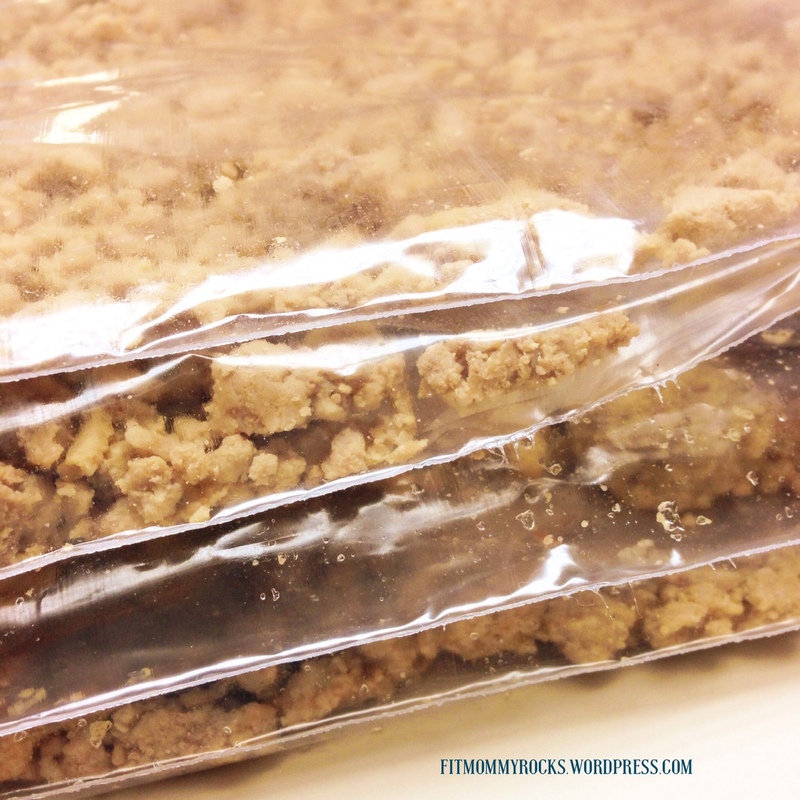 Then when I have a recipe that calls for browned ground meat I pull it out of my freezer, thaw it, the add it to whatever I am making. I use this method in my High Protein Hearty Taco Soup with Turkey that I cook in the slow cooker and it works great. I don’t even let it thaw all the way, just enough to break it up. I use it for a quick meaty spaghetti sauce. Try this Fresh Garden Tomato Pasta Sauce made in the slow cooker, then thaw your meat and heat them together for a quick hearty, meaty sauce. 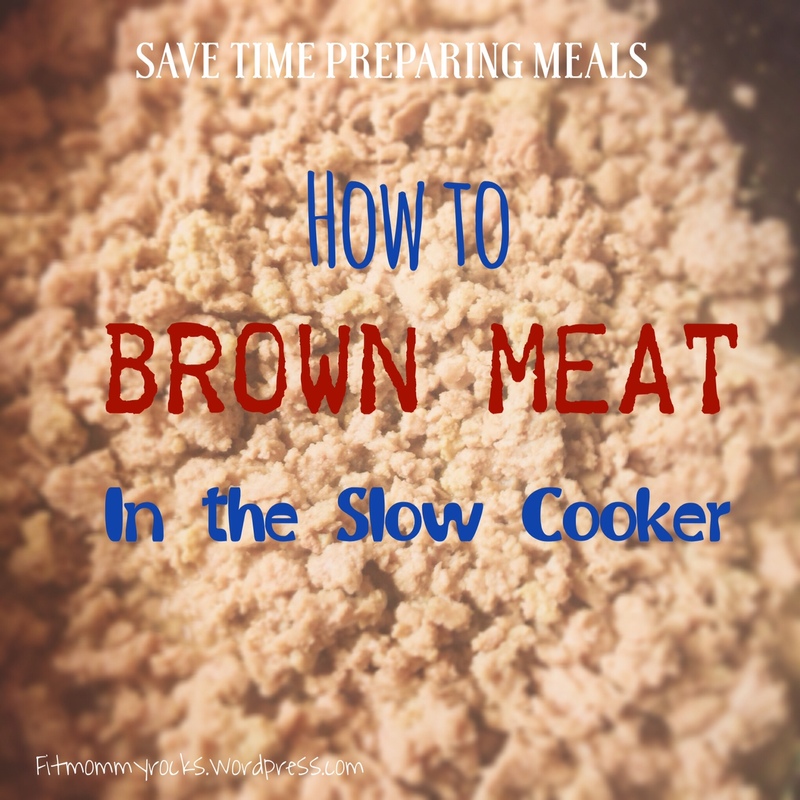 I have really loved using this method for browning meat. Then I don’t need to worry about using it or forgetting I have it in the fridge before it expires. Do you have any other tips on how you save time when preparing meals? I’d love to hear from you. 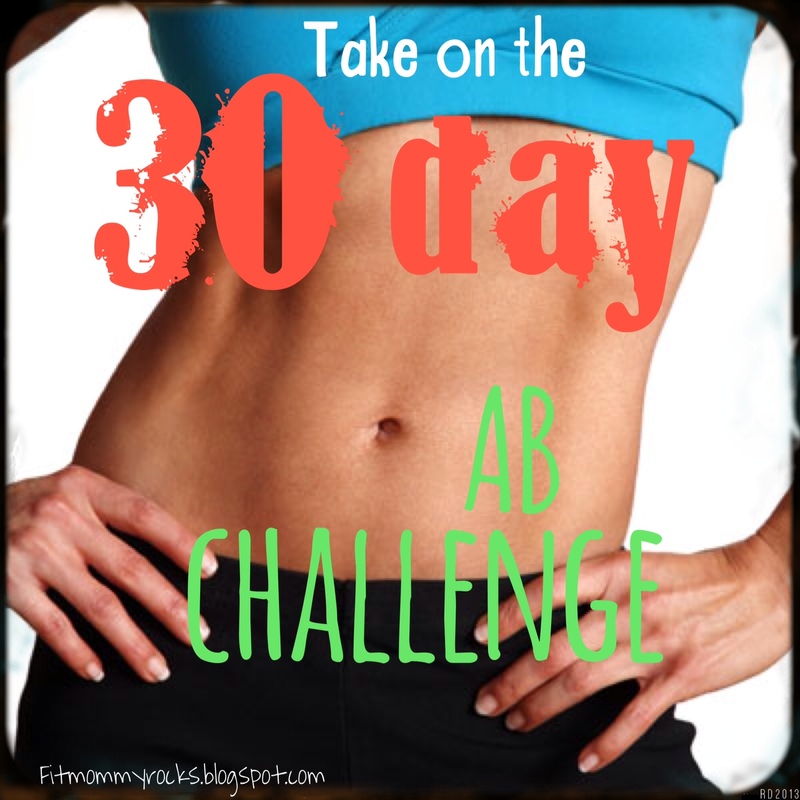 30 Day Ab Challenge– Can you Handle the Challenge? ?